Pens Universe was fortunate enough to snag some of Beau’s time for an interview before he hits the ice at the Pens’ Prospect Camp. 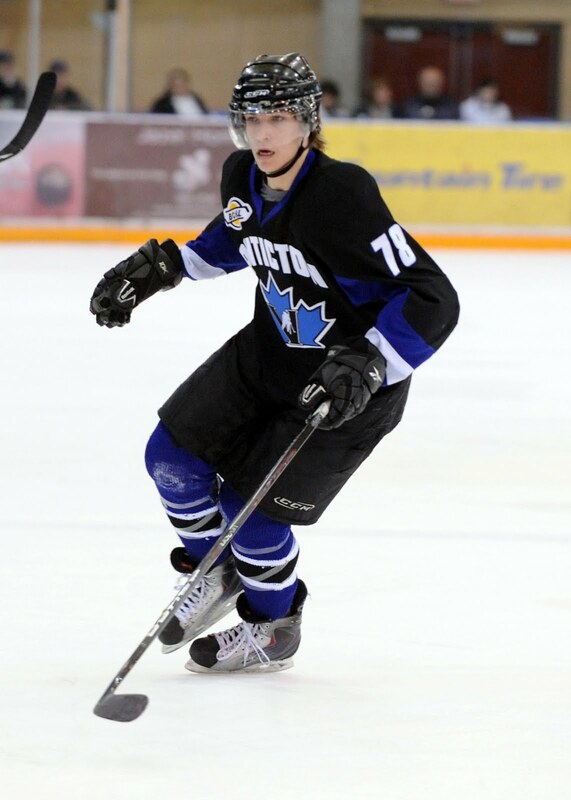 In the interview he talks a little about Draft day and he time with the BCHL’s Penticton Vees. Enjoy! PU: General Manager Ray Shero announces your name as the 20th overall draft pick to the Penguins Organization, what was your initial reaction? BB: A lot of emotions at once. Excitement, relief, nerves. In the moment it is just so surreal, because your whole life you work towards a goal and this was a stepping stone to the next step. PU: What interested most about hockey that caused you to pursue the sport? BB: I get so much enjoyment out of hockey, whether it is competitive hockey or just messing around in the backyard. I have always had that passion, so that sparked my pursuit of a career in hockey. PU: Who was your favorite hockey player growing up and does he have an influence on your style of play? BB: Pavel Datysuk was one of my favorites, and he influenced me to be more creative and try moves in games that people wouldn’t normally try. It makes the game fun. PU: How was the overall Draft experience for you? BB: It was unreal, having my friends and family there was a once in a lifetime experience and I was glad to share it with all of them. PU: You became the first BCHL rookie to surpass 100 points in the last seven years, what does that mean to you to accomplish something like that? BB: It is a nice accomplishment but that was never a goal of mine going into Penticton. I just wanted to have a fun learning year and hopefully win a championship. We fell a little short to a really good Vernon team, but all in all, it was a successful season. PU: For fans in Pittsburgh who haven't gotten a chance to see you play, how would you describe yourself as a player? BB: I am a creative winger, who likes to create plays for my teammates as well as for myself. PU: So far in your hockey career, have you acquired yourself a nickname? BB: I prefer just Beau, but our color guy in Penticton would call me Beau Dangles. PU: You will be attending the University of Denver in the fall, why DU? BB: Close to home, great coaching, great teammates, and overall good school. The college route will help me get stronger and I think that will take my game to a new level. PU: In your opinion, who out of the 3 centers (Crosby, Malkin, Staal) would fit you style of play best? BB: I would be lucky to play with either of them. They are all so skilled and have different qualities, but I would love the opportunity to play with either of them. PU: Where would you like to see yourself, say in the next 5 to 6 years? BB: Hopefully I have established myself in the NHL as a top 6 guy, and developed more of a defensive side to my game. No matter where I am, I’m going to keep working to get better and improve upon every year. Thank you very much Beau! Good Luck in your future!